Displayed is the standard list price. For preferred SAR rates and specials, please send us an enquiry. Schedules, fares and itinerary information is updated regularily. Fares are quoted per person sharing, one way fare, excluding French champagne, caviar and external phone calls. 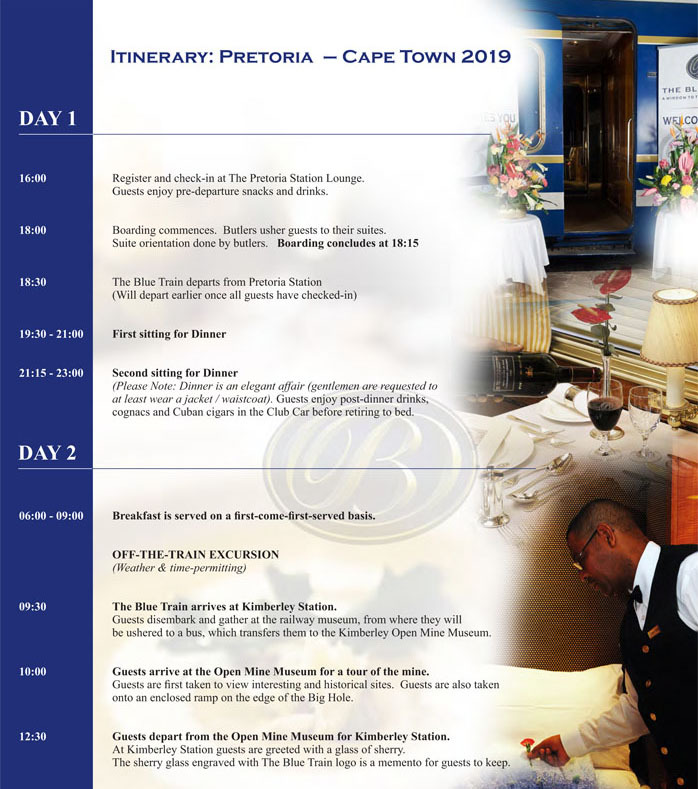 The Blue Train can be booked 12 month/ 1 year in advance. The Blue Train terms and conditions apply. The Blue Train can be chartered for strategic meetings, product launches, cocktail receptions, breakfast, lunch and dinner tours, wedding receptions, safari or golf safari tours and more. Charter routes depend on rail networks compatibility. 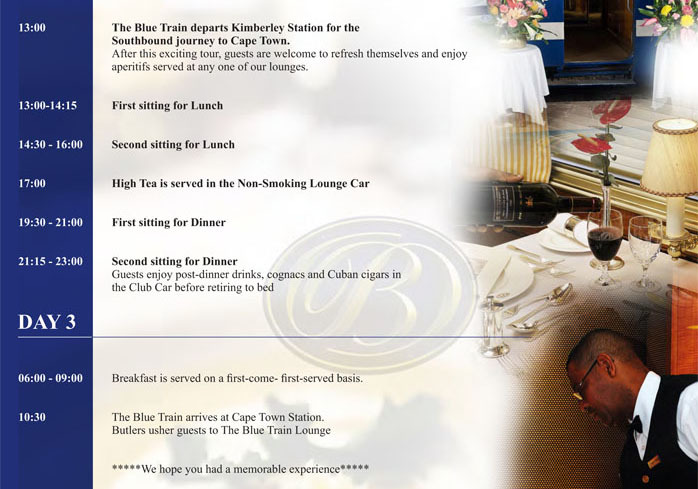 For charter enquiries, please use the Blue Train contact form. Low season rates are in effect from 01 Jan to 31 Aug and again from 16 Nov to 31 December. Peak season rates are in effect from 01 September to 15 November.